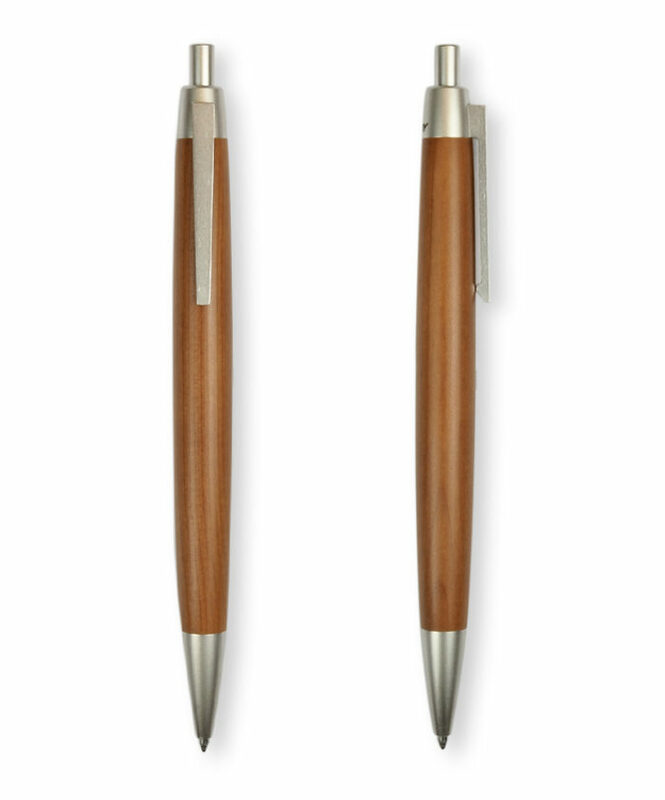 The wooden Lamy 2000 ballpoint pen - from Noted in Style. 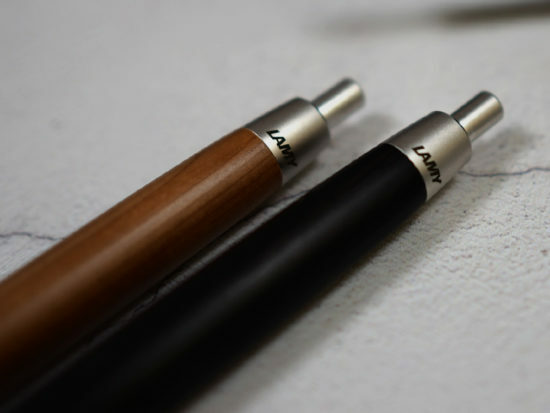 For branded Lamy 2000 ballpoint pen orders we aim to ship in approximately 20 working days and unbranded pen orders ship in 7 working days. 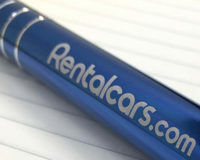 Tell us your deadline and we will always try to accommodate. 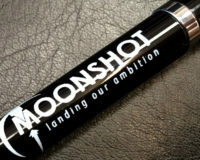 Expect to pay £57.76 each on an order of 100 with a one colour Pantone print on the barrel. The price per unit drops the larger the order you place. 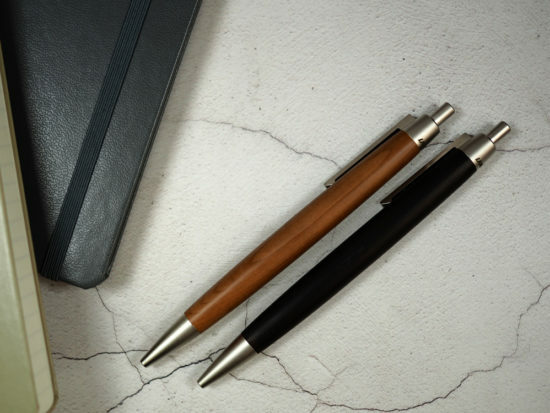 With a barrel made of golden-yellow yew or African blackwood, each wooden Lamy 2000 Ballpoint pen has a beautiful, unique wood grain. 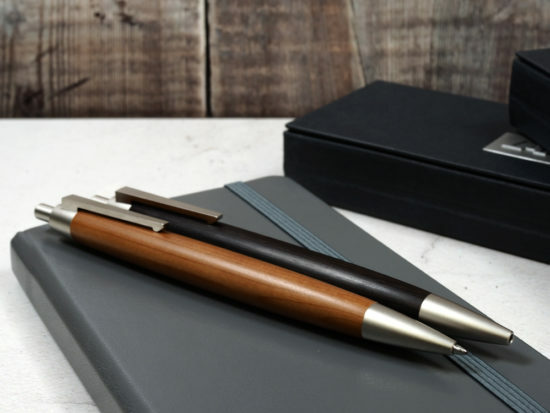 Weighty in the hand with a high-grade palladium finish nose cone, clip and push button, this ballpoint pen brings style and luxury to your working day. 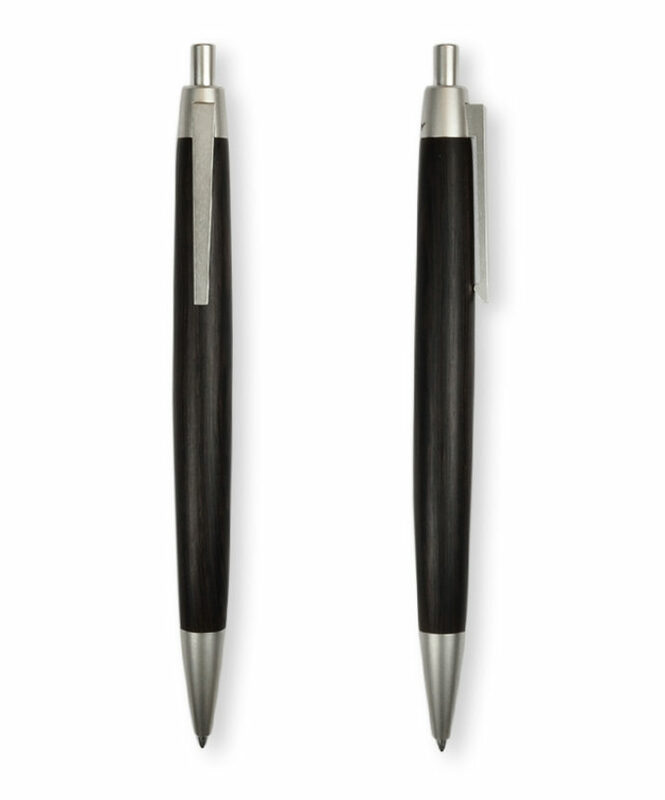 Each pen comes in it’s own smart, ribbed black, Lamy presentation case. 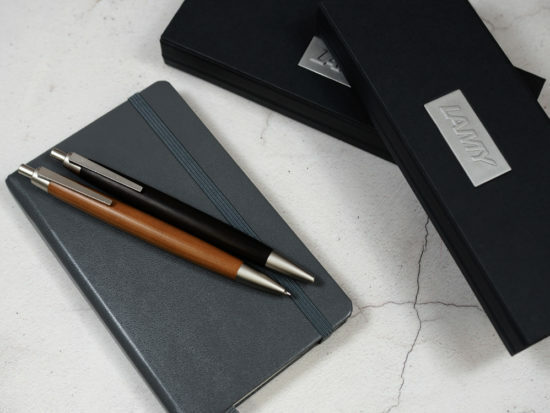 We know you’ll often be pairing your branded pen with a notebook or diary, so below are some ideas suggestions of packaging you could have to house the two together, or specific pen boxes you might like if buying the pens alone. 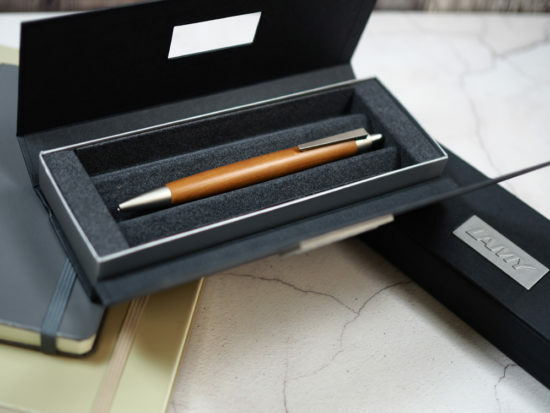 If your pen is part of a bigger gift set and you need bespoke packaging to house the complete set, please call and speak to one of our team, who can advise you on the bespoke options available.